I never thought it would happen but I finally have some people who just can’t live without Horror Bites Challenges. On the one hand this makes me feel fantastic but then again it does appear that I will have to be a bit more dedicated and organised. We are at the start of winter here in Scotland which I hate. The dark mornings and nights, the miserable weather – I just want to run away to the somewhere sunny. Also it is nearing the holiday season but as we don’t start Christmas until after my sons birthday I am taking us back to sunnier times with this challenges picture. Not that I want a sunny story mind. 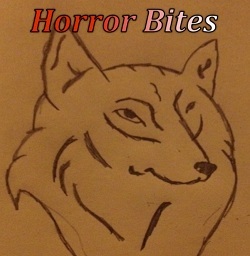 This is a continuation of the Horror Bites #11 challenge. "Hi, I'm Colonel Sanchez. You must be Mrs. Henderson, the biologist." The woman turned from the window and nodded. "They've just filled me in—well, as much as they can—on the hot site." "Did they tell you anything about the people there?" "Not really. They've set up a perimeter, but what's going on inside is anyone's guess." "If they're not going in, does that mean they don't expect anyone to come out?" The Colonel took a deep breath and said, "Don't read too much into that. That's what the military does, you know—set up perimeters—even if all they're guarding is a latrine." She bit her lip and looked away. "I'm sorry, Mrs. Henderson. I wish I had more. But we'll be there soon. Your husband was—is the geologist there?" "Yes. I was talking to him on the phone when we lost the connection. He was describing what had erupted when a lot of noise started up in the background. I couldn't tell what was happening. He told me to hold on and dropped the phone on the desk. Then there was shouting. After a few seconds, the line went dead." "And that's the last time you heard from him?" She turned and stared out the window. So pleased you're continuing this tale, love it and can't wait to see where you take us, I just hope I can find a picture that will help. Thanks! I'm still trying to figure out how this will end... and as far as posting the right picture - whatever you put up is okay. It's up to me to meet the challenge! Thanks! I'm not entirely sure how it will end myself! It may depend on the prompt pictures. Good pace and intrigue through dialogue. Love the blunt ending too.